Katelyn is a single mother, struggling to make ends meet and mourning the loss of her beloved husband, and high school sweetheart, Mason. Mason died tragically and unexpectedly almost ten months ago, ripping Katelyn's world apart, now she relies on six year old twin daughters, Elle, Payton and best friend Josie to keep her from falling apart. A snap decision sees Katelyn volunteering for the position to become manager of 4225 West, Liam's successful L.A band, and fears that she may have bitten off more than she can chew, especially when West's drummer, tattooed single father Harrison, moves to Beaumont with son Quinn. Harrison is a single father and has packed up his life in exchange for a stable and normal life with Quinn, following bandmate and friend Liam to the sleepy town of Beaumont... And Katelyn is just a bonus. Harrison knows that Katelyn is off limits and won't allow herself to open up to another man since Mason's death, but Harrison would rather keep their strained friendship, that not have her in his life at all. Now that Katelyn's become the band's manager, he'll never escape her, and just falls that little bit harder each day. But when their new manager books a road tour with an up and coming artist, the band, Josie, the kids, Katelyn and Harrison, all hit the road. Sharing a tour bus, hotels and downtime is the last thing that Katelyn needs... As she finds herself growing attracted to the affectionate and attentive father. But how soon is too soon, and is she worthy of being happy with someone again? Katelyn is struggling to come to terms with Harrison's role in her life. Outgoing daughter Elle, has the tattooed rock god wrapped around her little finger, while Payton pulls away and becomes distant, choosing only to spend her time with Liam. She's angry and Katelyn fears that her sweet little girl will never accept her father's death, when Katelyn is barely coping herself. Her newly fledged career as the band manager is in shambles, when she seemingly double books the group, resulting in the tour being cancelled. Katelyn may be inexperienced, but she's resourceful and vigilant... It seems someone may be messing with no only her livelihood, but the band's as well. Josie and Liam have finally set a date and plan on a getaway weekend to celebrate before the big day. The tension between Katelyn and Harrison, can be cut with a knife, while she struggles to deal with falling for someone that couldn't be more unlike Mason. The sparks fly and the two toy with the idea of a private relationship, hiding their affection from the kids until they're both certain this is what they want. Ex manager Sam is sniffing around 4225 West again, and where there's Sam... There's always trouble. Can Katelyn trust her heart or is the prospect of a new relationship and family, bound to break her heart all over again? 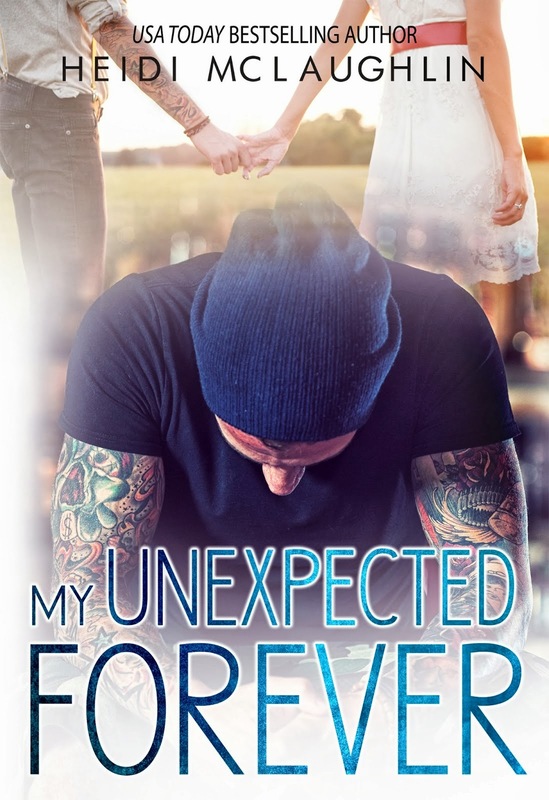 My Unexpected Forever tells the story of single Dad Harrison, and widower Katelyn, each the best friend of Josie and Liam, book one in the Beaumont series. Katelyn is struggling with her husband's death, the funeral bringing Liam back into Josie's life, and bringing Harrison with him. Twins Elle and Payton have already formed a bond with Harrison's son Quinn, having adapted to the quiet life of Beaumont, far removed from bustling L.A. It's clear that Katelyn and Harrison are both attracted to one another, but with the importance of their respective children's feelings, neither are willing to upset the close family unit, including their closest friends. The story of two single parents, testing the waters of new and uncharted territory is heartwarming, sizzling and hopeful. I preferred My Unexpected Forever, compared to Forever My Girl. It felt more realistic, emotional and I enjoyed every moment. Will these two find the happily ever after they both so sorely deserve?